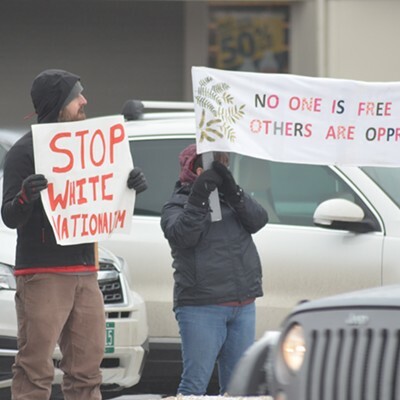 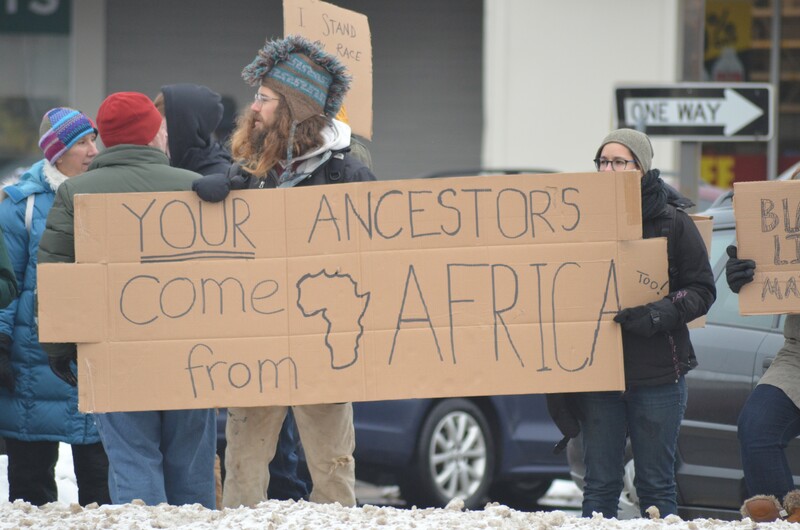 A contingent of anti-racism protesters took to Williston Road on Saturday morning in anticipation of a white supremacist rally along the busy thoroughfare. 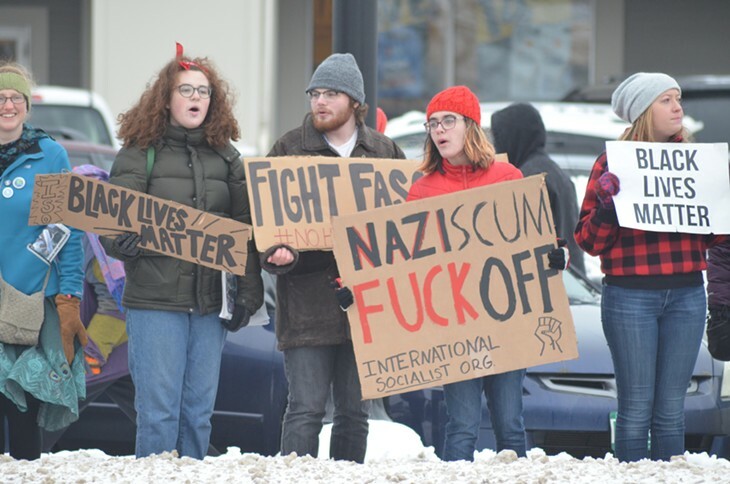 In the end, the hate group never showed. 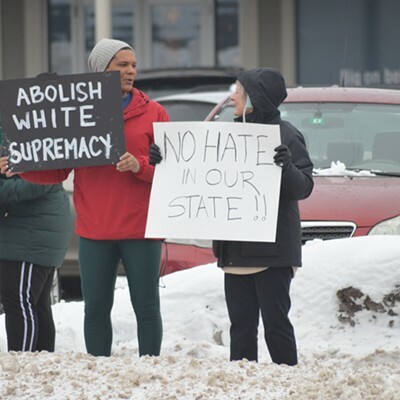 The crowd of approximately 150 people instead held a rally of its own, waving signs declaring support for minorities and immigrants while denouncing the alt-right Patriot Front group. 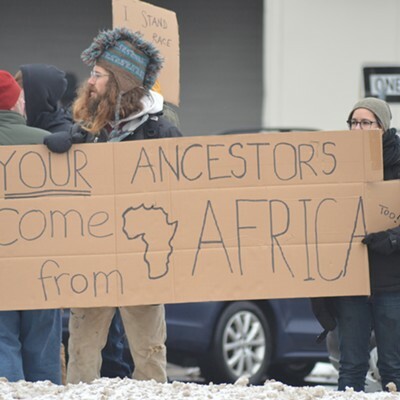 On Friday, word spread on social media that Patriot Front members planned to assemble Saturday at the Staples Plaza near the Burlington-South Burlington city line. 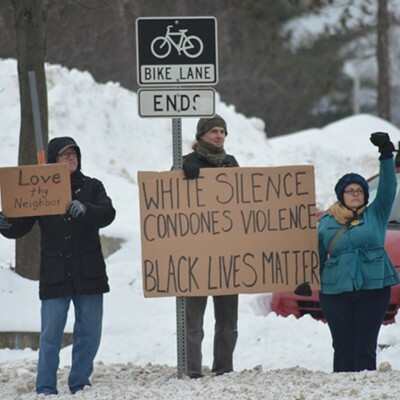 Widely shared posts blamed the group for racist flyers posted around Burlington. 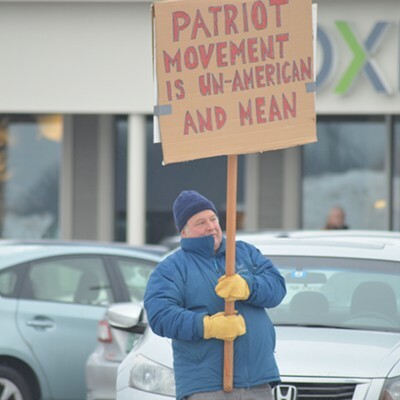 Patriot Front claims credit on the internet for posters and banners hung in communities around the country. 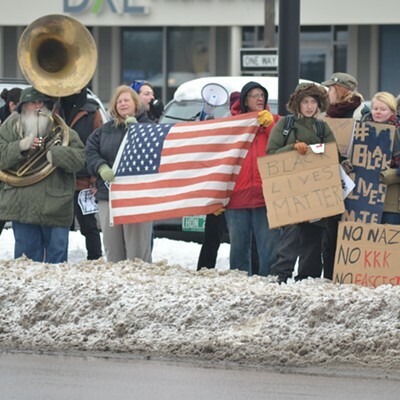 A group of counter-protesters began circulating a call to arms, encouraging a peaceful rally of their own. 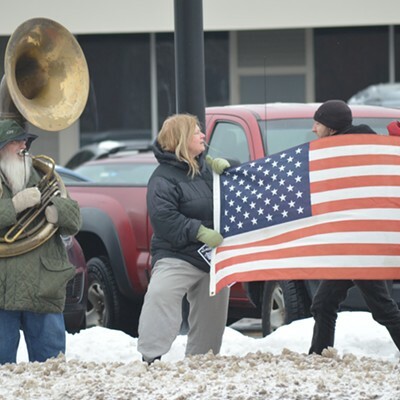 By 10:30 a.m., the large crowd, armed with signs, banners and even a sousaphone, lined the busy road at the plaza, not far from Interstate 89. 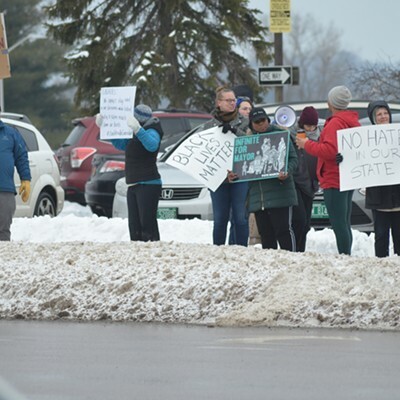 Cars honked in support as the crowd waved. 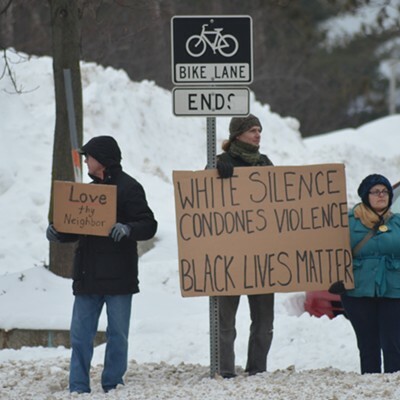 Several South Burlington police officers surveyed the scene from nearby.